Just because it’s small and in a hidden away part of your RV, doesn’t mean that it can’t be a statement piece. If you’re like many recreational vehicle enthusiasts around the world you like to make your RV your own with style and design. While many of the major touches can make a big difference in the look of your rig’s interior, a lot of differences can be made with how you accent with fixtures. A simple way to thump up your RV’s interior is the 4” Brushed Nickel Bathroom Fixture from RecPro. A smaller version of the main counter top version of our line of fixtures, the 4” is a durable, but eye-catching piece that you can add to your RV’s aesthetic palette. 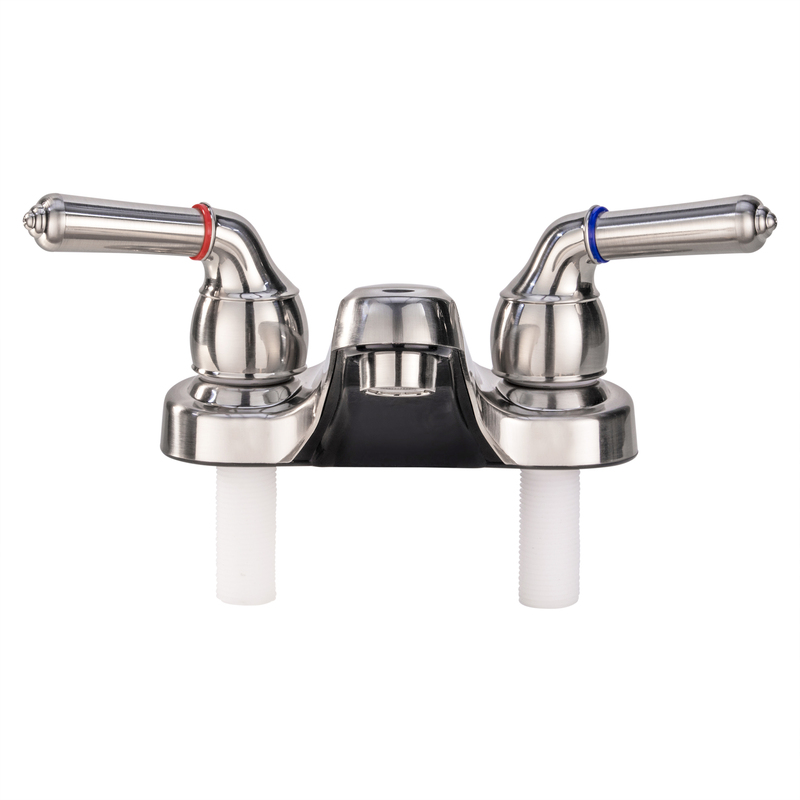 Manufactured so that it is compatible with most plumbing in recreational vehicles on the market, this little dandy with its teapot handles will give you plenty of consistent use and pleasure for years to come. Don’t hesitate to call our helpful customer agents if you have any questions before ordering this, or any other RecPro items.